​My Headphone plug won't fit. What do I do? I have learned that the internal 1600mah battery will only provide 2,5 hrs of gaming. A 1600mah cell should provide at least 4 hours on a full charge, but I'm ashamed to say I think I might have got some bad capacity cells. If you want more hours, a small external power bank with about 2000mAh will serve as a good reserve companion, and will provide at least 8 hrs of additional gaming per charge. Why do I get these strange “._”-files on my USB drive? When you transfer files through a Mac computer, you always end up getting a clone file. You can delete the "._"-files by accessing the USB through a PC computer. How do I remove the USB if the lanyard string mount came apart? 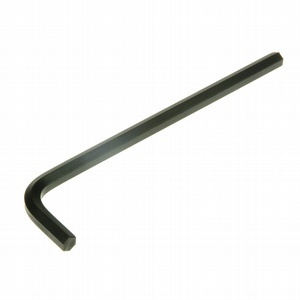 All you'll need is a 2mm hex key and a tooth pick. Can I update the system or remap buttons? If you need to update, remap buttons or change/create configurations, simply unscrew the bottom of your Pixel Vision console and eject/remove the internal SD card from the Pi. I would suggest using the SD card with a separate Raspberry Pi model B+(for more ports) and hook it up to your keyboard, ethernet and desktop monitor. Create a sub-folder in USB/games and name it "mame-mame4all". Put your MAME .zip files in there. For some reason(likely an audio issue), most MAME game tiltes won't work. There might be a fix for this somehow. Also, the curvature shader effect does not apply to MAME. One of the controls is stuck or feels stiff. How to fix this? 4 - Tilt the circuit board like in the video and wiggle the stuck button(s) a little. As you tilt the circuit board back in place, make sure no cable get stuck between the the circuit board and the controls.